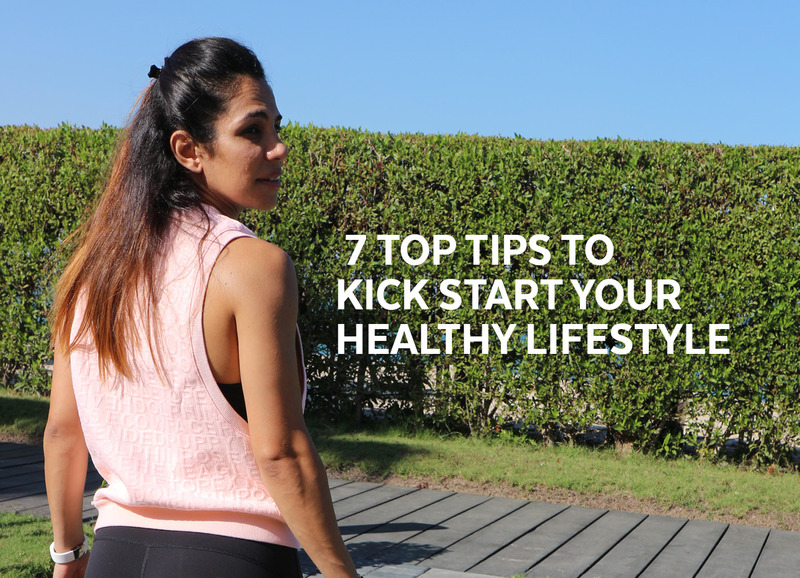 Developing a healthy lifestyle doesn’t need to be hard, daunting or rocket science. The key to developing a healthy lifestyle and being able to stick to it is to build healthy habits first, practice them, and then, when you are ready, take the next step and build on them. Having goals set and in place is fantastic, but you need the stepping stones, tools and habits to help you become more successful at achieving them. Creating habits will ensure that you are moving in the right direction. In this article I will outline healthy lifestyle habits that can lead you to better body composition and also feel good throughout the day and night. Once you have identified brand new healthy habits it takes a little practice, consistency and patience. I recommend picking 1-2 habits every 1-2 weeks and practice them. Soon enough, they become second nature and as easy and automatic as putting your clothes on in the morning or brushing your teeth. Start with something that’s easy for you to get good at. Then, when you feel comfortable and the habits are part of your daily routine, pick a new habit – something fun! 1.Pick an exercise you enjoy doing. Exercise has many benefits including improving your mood, losing body fat and helping prevent many health conditions including obesity and diabetes. I recommend that you do something that you will enjoy, whether it’s by yourself, with a trainer, with a friend or in a group – whatever is going to motivate you. The options are endless. Examples include walking, joining a boot camp or running club, cycling, swimming, Pilates and yoga. As long as you are exercising or moving daily, it’s much better than doing nothing at all. Exercise, along with boosting your mood, can alleviate stress in your daily life. Take a look at your primary stressor in life and look at ways to decrease negative stress and increase positive stress in your life. Create a healthy habit to counteract stress. For me, it’s exercising daily. Physical stress in the form of exercise is very beneficial for both mind and body. Exercise helps us maintain our metabolic rate, helping us stay in shape, clear our thoughts and decrease the risk of many metabolic diseases. Benefits of participating in regular low impact exercises such as walking, jogging, tai chi, yoga, swimming and cycling will not only do your adrenal system a favour, you’ll also be burning calories at the necessary rate to utilize more fatty acid oxidation, which will help you towards your body shape goals as well. There are many ways to decrease stress with both exercise and nutrition. Increasing your daily water intake is one of the simplest things you can do to help bring your body back to homeostasis (balance). 3.Take a look at your nutrition. Ask yourself these questions. If you answer ‘no’ to any of them, take one week at a time to develop these healthy habits. 1) Are you eating slowly? Check in with hunger. Sit down, relax and take your time. 15-20 minutes for a meal is about right. Make sure you stop eating when you’re about 80% full. 2) Where is the protein dense food? Are you about to eat at least 1 palm size portion of protein dense food? Women get 1 palm-sized portion and men get 2 palm-sized portions. 3) Where are the veggies? Are you about to eat a large portion of vegetables? They can be prepared any way you like. One serving is about 1 fist-sized portion and you should try to eat a few portions per meal. 4) Where are the carbs? If you have fat to lose but haven’t just worked out, eat less pasta, bread, rice and other starchy carbs. Opt for a double serving of veggies instead. If you have just worked out, a mix of carb sources is fine. 5) Where are your fats coming from? You need some fats from various foods, prioritizing whole food sources like eggs, meats, fish, olives, nuts and seeds. Spread these throughout the day. 6) Are you drinking water? Drink 1-2 glasses of water 15-30 minutes before each meal and sip from your water bottle every 30 minutes throughout the day. Aim for at least 8 glasses daily. Practicing daily habits doesn’t make ‘perfect’ straight away but it does make progress in a positive direction towards your goals. Remember that everyone has his or her own starting point on their own journey with their own destination. Starting is the first step and then making sure that you are progressing even one percent more every day is a small win. Celebrate your small successes along the way. Start small and build every week on your daily routine and soon you will achieve your goals by building healthy habits within your lifestyle. 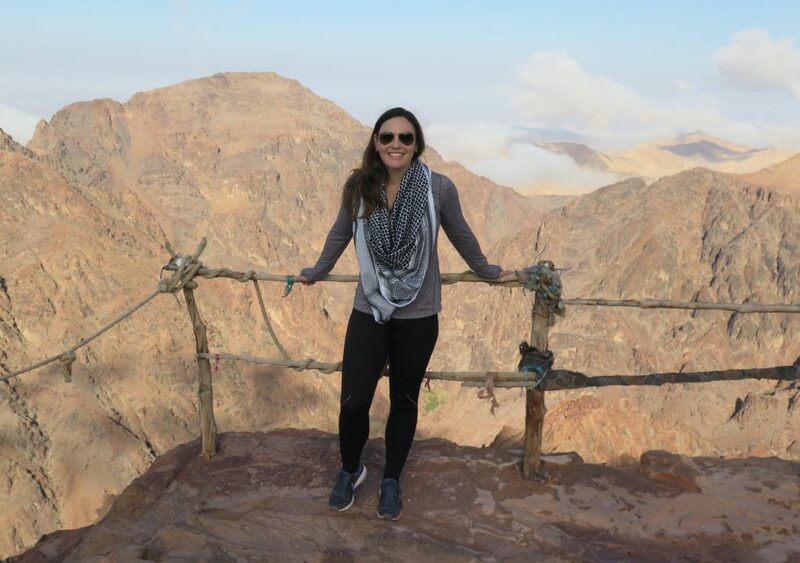 Photo: Here I am in Petra, Jordan, at the top of the mountain near the Monastery, building on my daily habits of exercising and doing what I love – hiking in nature and celebrating my success by making it to the top!